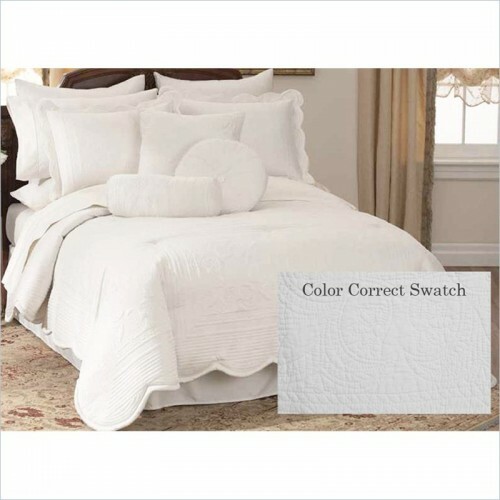 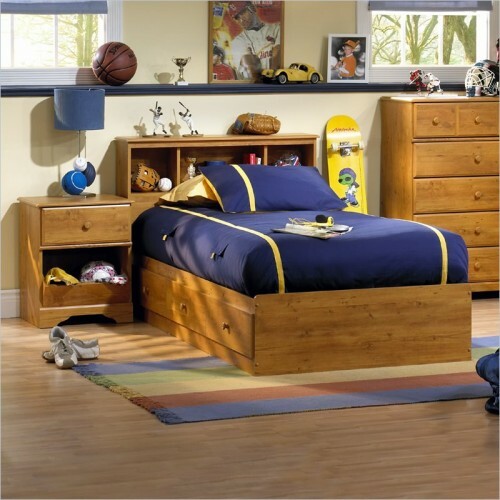 Constructed with high quality natural timber and dark hue color gives it perfect contrast look. 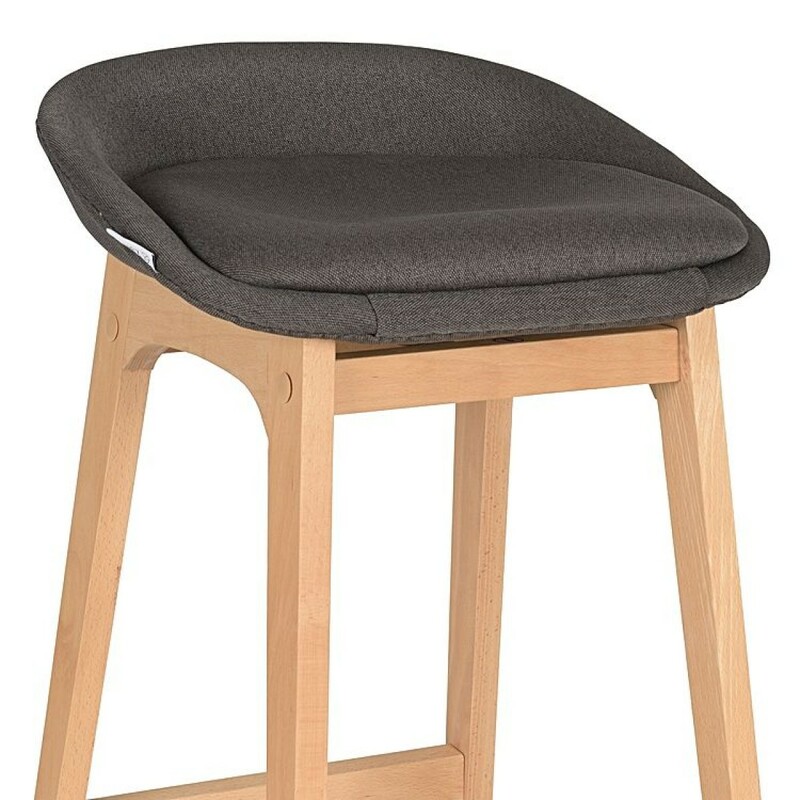 With simple and sleek design it features four angular legs made with good quality offers better support and upholstered with pure fabric provide comfort while sitting. 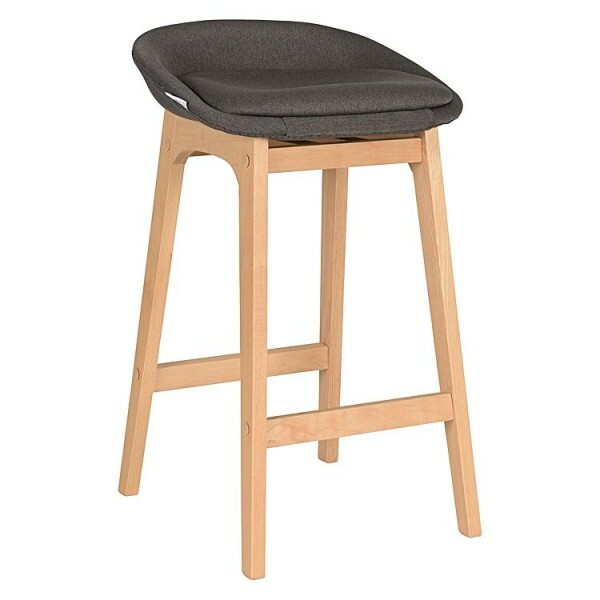 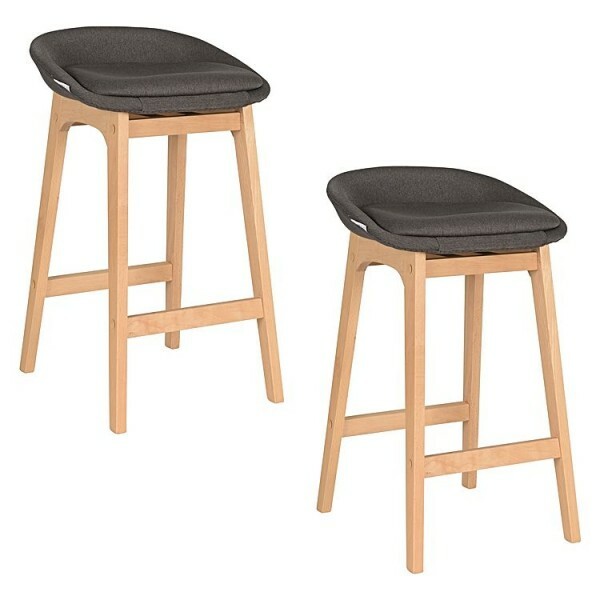 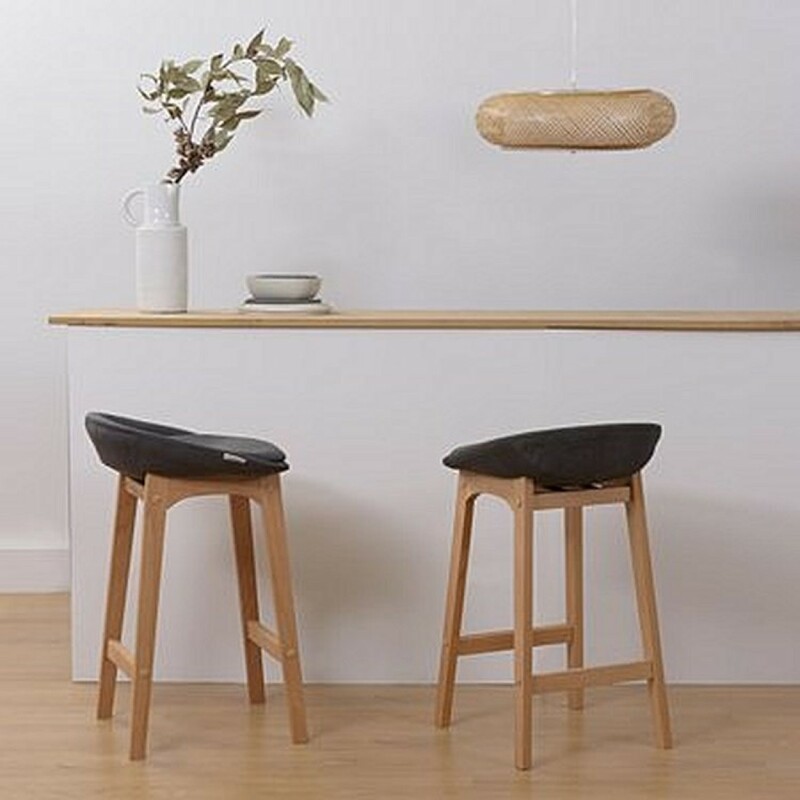 No doubt this set of 2 bar stools will be great addition to your home décor.